Mick: I've got an idea. 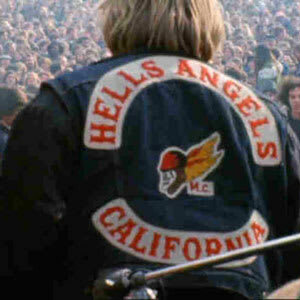 Mick: What say we give the Hells Angels $500 worth of beer to watch over the stage for us at the music festival in California? Keith: I don't see why not. What could go wrong? Mick: It's not like they'll be beating people with leaded pool cues. Keith: Right. Nor stabbing anybody to death. Mick: I should think not.